The David and Jane Richards Family Foundation (DJRFF), founded by WANdisco CEO David Richards, aims to transform the way computer science is taught in classrooms and focuses on data science to give young people the ability to understand and solve real-world challenges. Around 50 pupils have started the course at Sheffield’s Tapton School, the first institution to work with the foundation and David’s alma mater. Joachim Dreimann has recently been appointed by the foundation as technical advisor to its programme of work advancing the education of computer science in state schools. 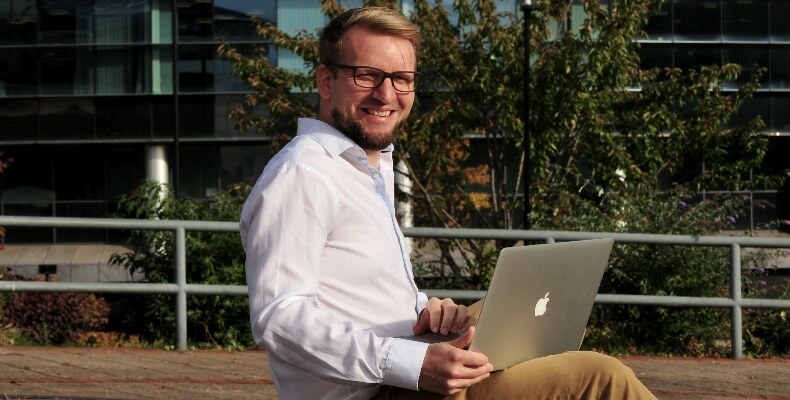 Dreimann, 32, is product manager and user experience lead at WANdisco, the Sheffield and Silicon Valley-based public software company founded and led by David Richards. His knowledge and understanding of computer science attracted attention inside and outside the company and he started lecturing on the subject of Open Data at Sheffield Hallam University. Dreimann has also mentored start-up companies in Yorkshire, providing practical advice on growth strategies at the crucial early stage. At WANdisco, he leads the user experience team and is responsible for designing the user interfaces of all of the company’s revenue-critical products worldwide, working with the product managers and company leadership. To be able to make good decisions, you need data. Being able to understand that data is really important. You need to ask the right kind of questions. I’m not sure that’s taught enough in schools. Dreimann is advising the foundation on curriculum development. Its first course for 13 year olds is underway and studies how performance can be improved through the use of data analytics.